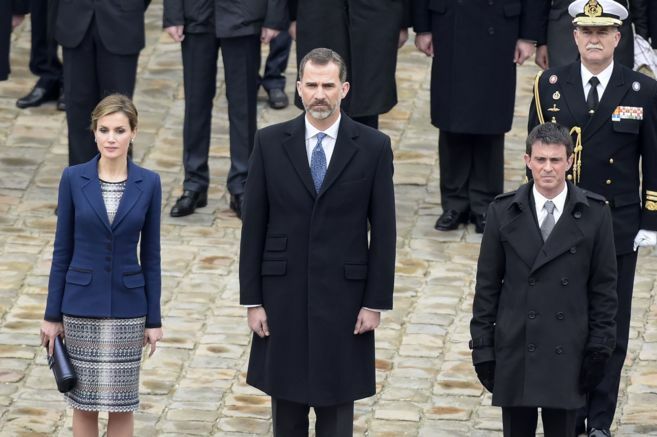 Just before the arriving of the royal couple to the Elysee palace, we learned a very sad news, there was this morning a crash of a plane A 320, departure from Barcelona to Düsseldorf, no surviving people, we don't know if there were spanish people , or french people or ferman people. 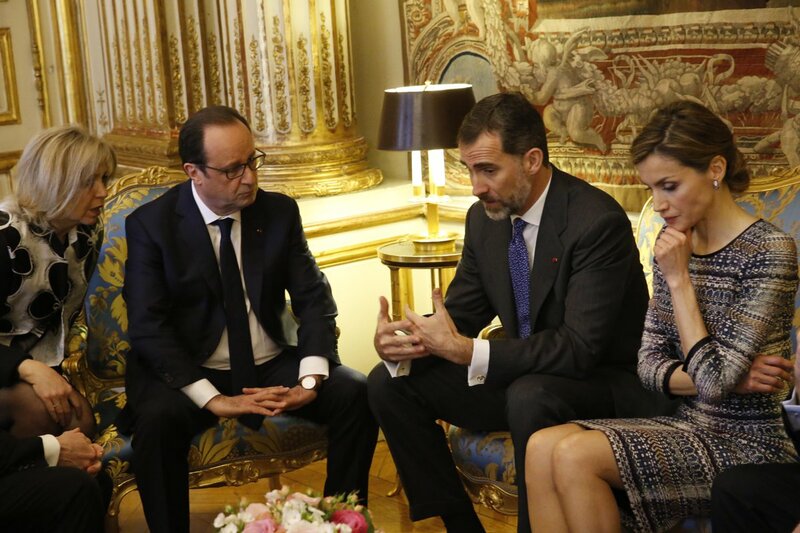 We saw in direct president Holland speaking with king Felipe a long moment. After this horrific accident, there will for sure be adjustments to the schedule. I just heard the news of the plane crash: what a tragedy! And right when they couple is visiting France! 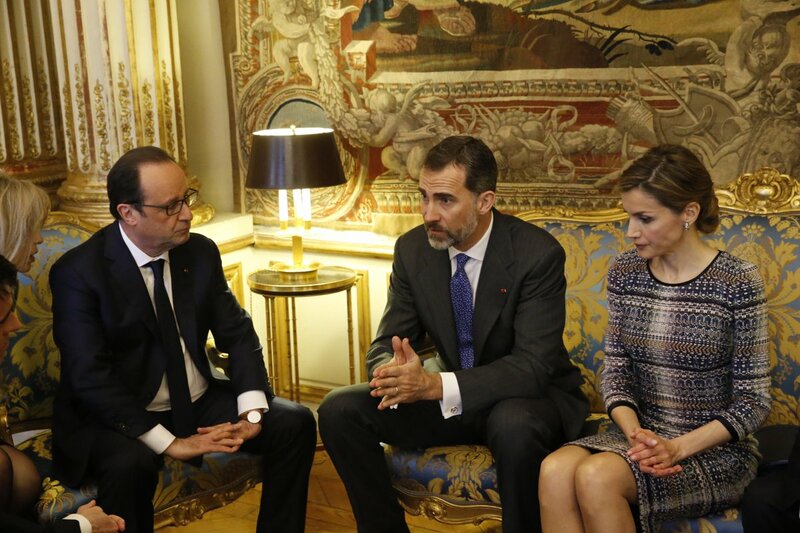 King Felipe is speaking in spanish in front of the palace Elysée, he announces that the visit is cancelled. The absolute right thing to do. This is not a day for a State visit. Sad. What a sadness for both the hosts and the guests of this cancelled visit..
My condolences to all those bereaved. 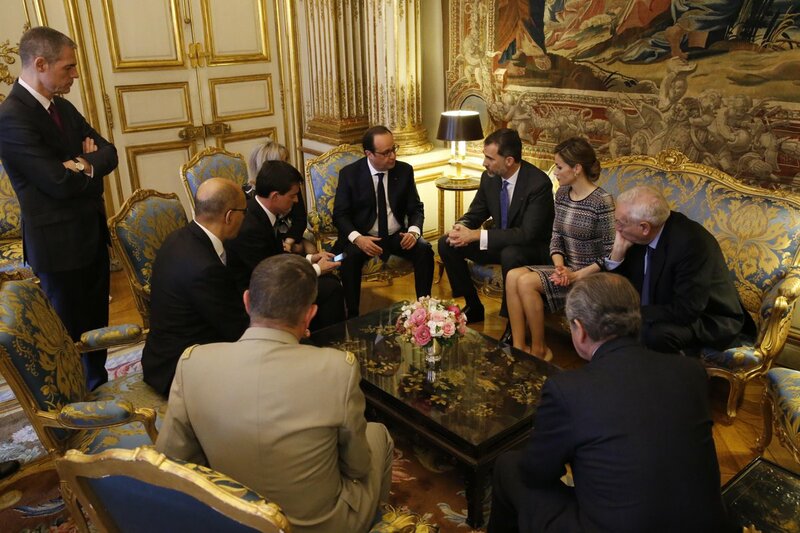 According to the Elysee Palace , the visit has been postponed . 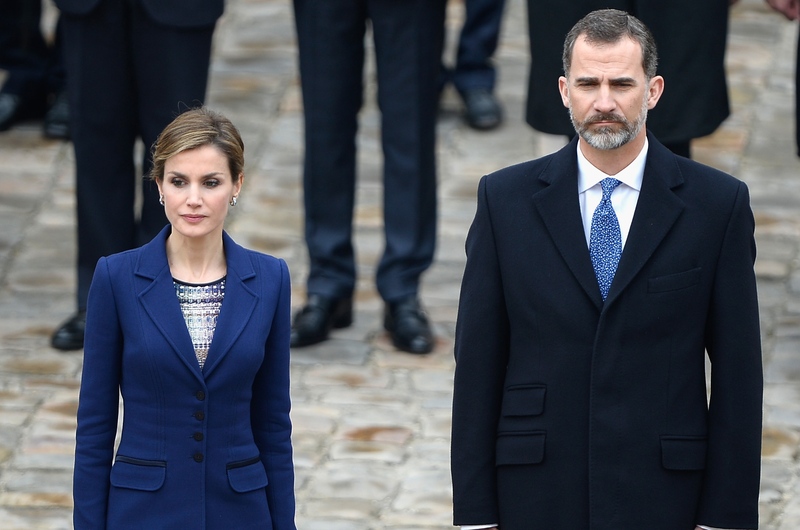 The royal couple will stay in Paris for the day, the King will meet the Prime Minister and visit the crisis center dedicated to the crash this afternoon. 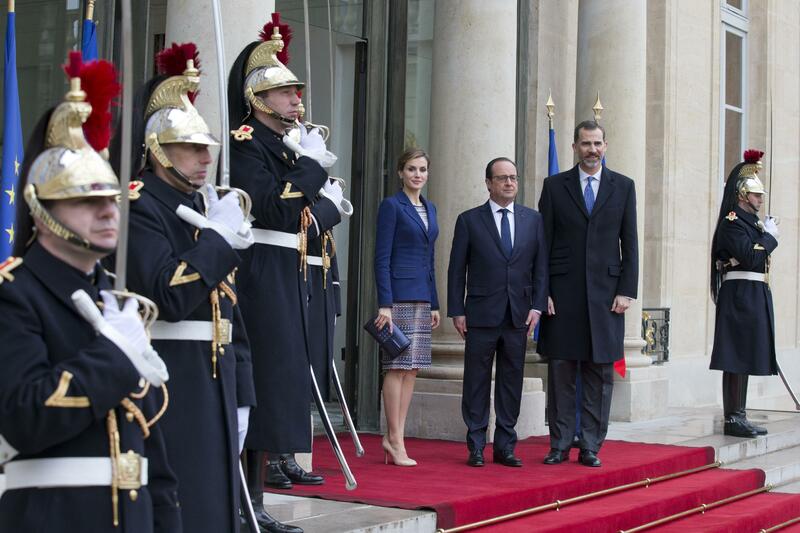 Both Hollande and the King have said they expect to complete the State Visit at a most propitious time. Such horrible and tragic news,the King was right to cancel his visit. Its a national tragedy for Spain (and for Germany), its the right thing to cancel this visit. The right decision in the circumstances. As others have already stated, cancelling was the right decision.